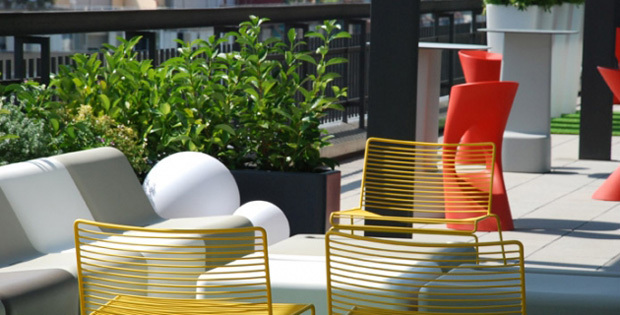 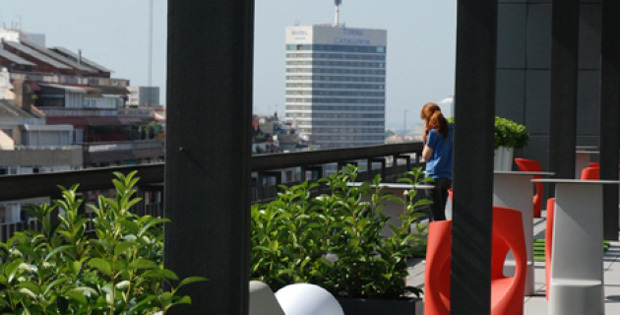 Interior designer Sílvia Alfaras was chosen to design the new outdoor space at Barcelona offices of international company King, creators of popular games for cellphones and networks like Candy Crush among others, with 190 million players all over the world. 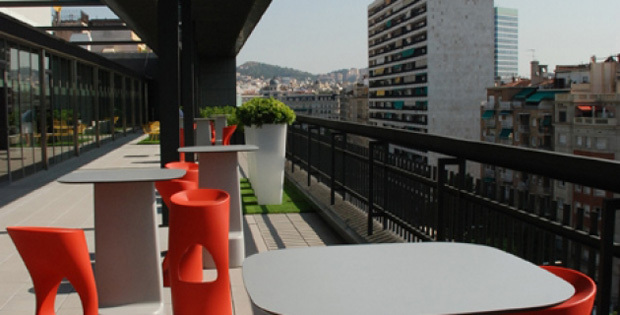 320 squared meters of the L-shaped terrace are a space where joy and work are wisely combined thanks to a contemporary furnishment and impressive panorama of the city of Barcelona. 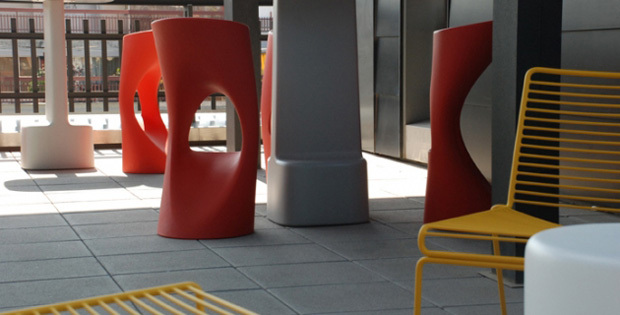 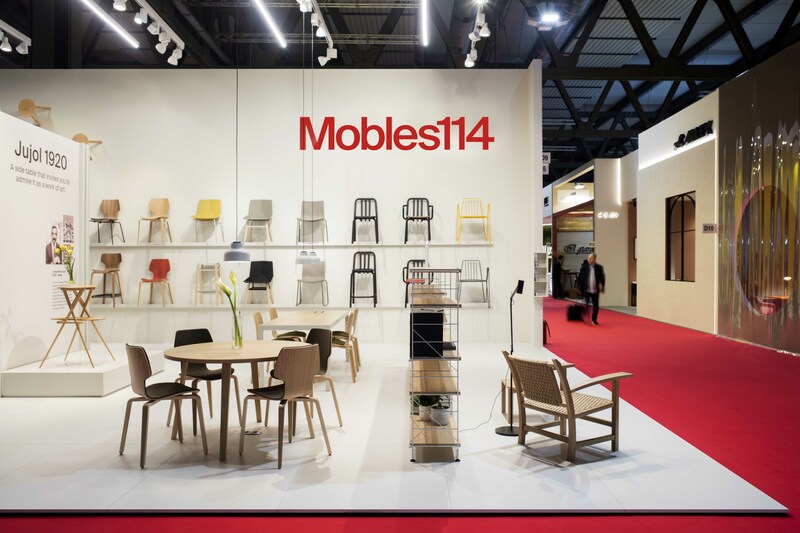 In order to show company philosophy, focused on fun, furniture chosen has been contemporary in striking colours, for instance Flod stools by Martín Azúa and Gerard Moliné for mobles 114. 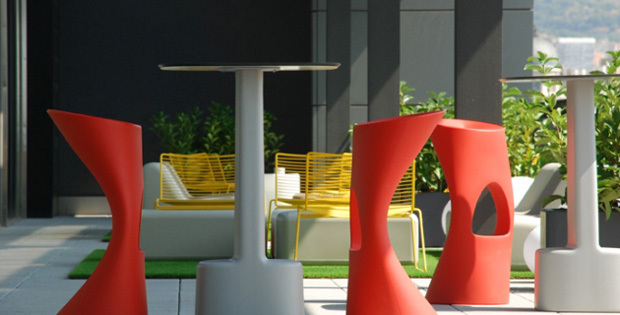 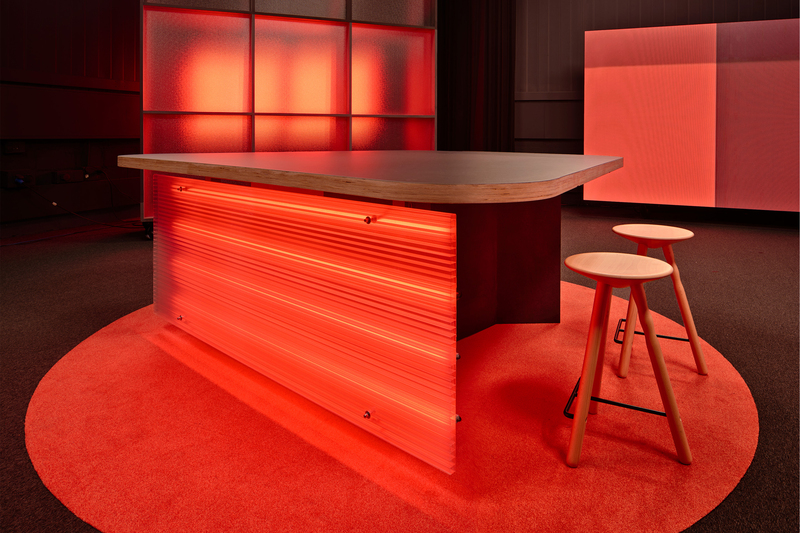 The different pieces define the various atmospheres: workspaces, spare time, relax, lunch tables, event spaces, etc. 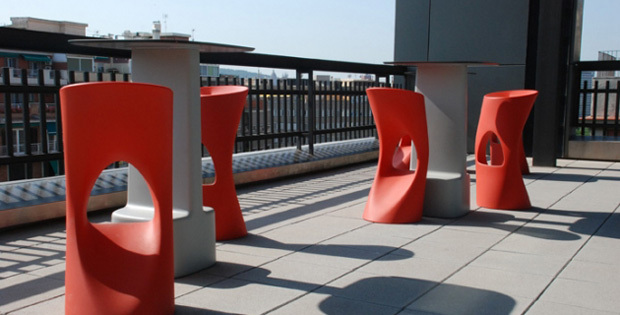 More information about Flod stool at mobles 114.